UPDATED: Sir Chris Hoy to sprinkle stardust on PM David Cameron's announcement new funding for cycling. Bike industry involved too. Prime Minister David Cameron will be flanked by Sir Chris Hoy, Britain’s most successful ever Olympian, tomorrow to announce £77m in new funding for cycling. At a separate announcement, Patrick McLoughlin, the Transport Secretary, will unveil which cities won grants from an earlier cycling cities funding package. McLoughlin will make his annoucement in Manchester, with Birmingham, Newcastle and Manchester being the top recipients of the funding package. There’s much more detail on where it will be spent here. The new £77m package, on top of the cycling cities funding already announced, is said to be "largest single cash injection" in cycling ever and will be spent between now and 2015. While £77m is just a tiny fraction of what’s spent on motorists (it could build a short bypass of one small town) perhaps the most important part of tomorrow’s double-headed announcement is the top level political support for cycling. 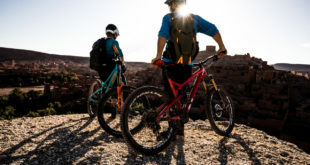 Eight cities have been successful in the cities cycling funding and four National Parks are also to share funding to become more cycle-friendly. Cities which put bids into the cities programme majored on cycling infrastructure schemes to protect cyclists. The successful cities were Manchester, Birmingham, Newcastle, Leeds, Bristol, Norwich, Cambridge and Oxford. Greater Manchester is due to get £20m, Leeds and West Yorkshire £18m, Birmingham £17m and Newcastle £6m. Cambridge gets £4m but Oxford will get less than £1m. The cities are also providing cash of their own making the combined investment total £148m. Investment in the eight cities is now in excess of £10 per head, as recommended by the Get Britain Cycling report. 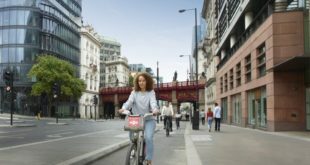 Local authorities across England will be expected to also spend more money on cycling infrastructure when new developments are put in place. A cycling infrastructure conference for officials at local authorities will be organised later in the year by the Department for Transport. Four National Parks – the Peak District, Dartmoor, the South Downs and the New Forest – are to share £20m. The Government has also said it will continue to fund Bikeability, the cycling training scheme formerly known as ‘cycling proficiency’. To complement Bikeability the Government is also supporting a new National Schools Award Scheme to encourage more cycling and walking to schools across the UK. This scheme will be sponsored by the Bicycle Association. The announcement from the Prime Minister will be entitled ‘Shifting cycling up a gear’ and it’s expected Cameron will say the Goverment has aspirations to ‘Go Dutch’. (Of course, to Go Dutch will require a step-change in funding for cycling, and tomorrow’s announcement, while welcome for the cities involved, is not a step-change for England as a whole). UPDATE: The PM’s quote is now in: "Following our success in the Olympics, the Paralympics and the Tour de France, British cycling is riding high – now we want to see cycling soar. 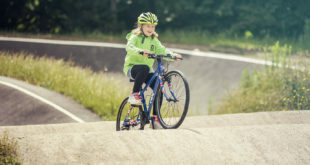 Our athletes have shown they are among the best in the world and we want to build on that, taking our cycling success beyond the arena and onto the roads, starting a cycling revolution which will remove the barriers for a new generation of cyclists. Much of the credit for such high profile support for cycling from the very top of Government has to go to The Times and its ‘Cities for Cycling’ campaign. An official response to the All Party Parliamentary Cycling Group’s Get Britain Cycling report will be released later in the year. Motoring organisations have welcomed the new committment for cycling. This morning, AA president Edmund King said on Twitter: "If we want to take cycling seriously and have a cycle revolution, we need to invest in infrastructure & look to places like the Netherlands." There’s more reaction to the news here. Next £77m investment in cycling: Where is the cash going?